We are one of the leading manufacturers and suppliers of a comprehensive range of Rotary Air Lock. Our team of quality experts ensure that our range is free from any defects and ideal for various applications. Our esteemed clients can avail from us an exclusive range of rotary air lock at industry leading prices. These Rotary Air Lock are designed using quality raw materials such as stainless steel and mild steel. It is widely used in various warehouses and factories of different industries. These are used to transfer materials without any air leakage. 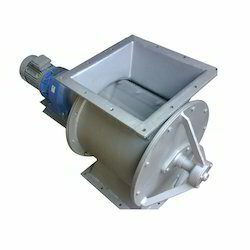 We also offer universal rotary valves in 2 versions rotary air lock and blowing seal. We are counted amongst the recognized organizations presenting premium quality Rotary Air Lock. 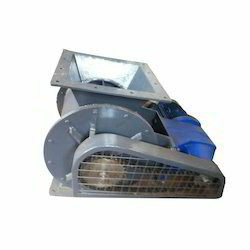 This air lock is used for wall roof, ac plants, and box, pipe insulation purpose. Also, this air lock is made available in both high pressure and low pressure form. The offered air lock is manufactured using quality stainless steel and industry approved pump. Offered air lock provides quality solutions and better output even at high work pressure. The perfect design and robust construction are some of the impressive features of the air lock. Looking for Rotary Air Lock ?